Childhood obesity expert and anti-sugar activist Dr. Robert Lustig is back again as our guest today in Episode 640 of The Livin’ La Vida Low-Carb Show with Jimmy Moore! One of the most influential people in the world of health over the past couple of years has got to be an outspoken pediatric endocrinologist and scientist at the University Of California-San Diego named Dr. Robert Lustig. 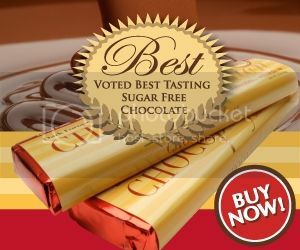 As of January 2013, well over 3 million people have seen his infamous 90-minute YouTube video lecture from 2009 that went viral entitled "Sugar: The Bitter Truth" and that quickly caught the attention of mainstream book publisher Hudson Street Press. They asked Dr. Lustig to write a book about the concepts he shared in that video as well as other important issues related to the role that nutrition plays in our weight and health. 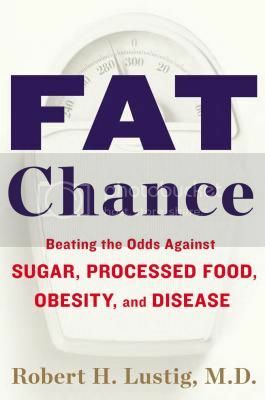 That book was released in December 2012 and it's called Fat Chance: Beating the Odds Against Sugar, Processed Food, Obesity, and Disease. Listen to Jimmy and Dr. Lustig discuss the surprising popularity of his YouTube video that started him off on this crusade against sugar, why he believes the low-carb and vegans have so much in common that they should be working together, areas of agreement and disagreement with Gary Taubes, why focusing on calories is useless in weight and health management, why metabolic syndrome is what the medical profession should be treating instead of obesity, the greater importance he gives the hormone leptin over insulin, the response of the food industry to his bold message, why he believes government legislation is what is needed to bring about the changes that are necessary to improve health and why the grassroots efforts of bloggers and others will speed up the process of helping people become successful in changing their lifestyle habits. We kick off the new year with a bang in our first official podcast interview of 2013. ENJOY!